Monowara is a successful woman entrepreneur, with a factory under her name and dozens of employees. But her her beginnings were humble, and it was through her hard work, ambition, and the support of Shakti Foundation for Disadvantaged Women in Bangladesh. Monowara and her husband live in a small dwelling just outside Dhaka with their children. While happy, their finances were tough. She and her husband were unable to support their family on her husband’s meager income. She wanted to earn money for her family, but she had no education, skill, or money to do any business. She started by engaging herself as a worker in a garment factory near her house, but she was not satisfied with this kind of work and wanted to do something independently. During her time at the factory, she learned the technique of knitting sweaters, and became interested in the idea of creating a business, but had no money. One day, a neighbor suggested that she go to the Shakti Foundation. And so she did. Monowara went to the branch the next day spoke with the loan officials there and soon became member. Shakti Foundation gave her loan of taka 5,000 to start her business. She purchased supplies with the first loan and sold her goods in different areas. As more and more people learned about her products, she sought additional capital support from Shakti Foundation to create her factory. Around this time, she also began exploring what her customers wanted and searching for new designs to expand her business. Shakti also supported her through this business growth through practical business training offered through the institution. Not long after setting up her small factory, Monowara started to employ workers, including her husband and son, to increase production and to meet the demand for her goods. She took a bigger loan to expand her business and presently, there are 35 individuals under her employ. She has multiple points of distribution: a showcase store where larger retailers buy the goods and contacts in many other districts in Bangladesh who sell her goods. Her monthly income is now taka 50,000, a far cry from their meager income of a few years ago. 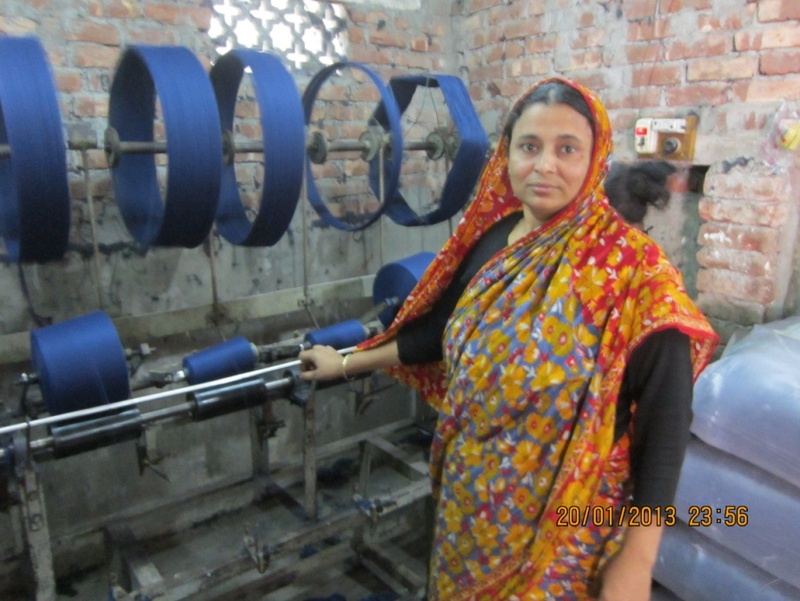 Her business and success has enabled her to have bigger dreams as well: her vision is to set up a big factory and create more job opportunities for poor people, especially for poor women.